GirlZombieAuthors: Lizzie Borden, #Zombie Hunter 2 Sale! #Horror #Sci Fi #Fantasy Deals! 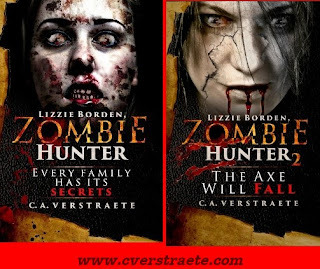 Lizzie Borden, #Zombie Hunter 2 Sale! #Horror #Sci Fi #Fantasy Deals! All Kinds of Monday Deals!! What happened to accused, but acquitted, axe murderess Lizzie Borden after the trial?? In real life, Lizzie lived a mostly quiet life, moving into a fancier home in the exclusive part of town, and hosting parties for a famous actress and friends. Living it up on ill-gotten gains? Maybe, maybe not. In fiction... ahh.... what if her life had turned out differently? What if she had to fight the undead--again? Could she? Would she? And, could she or did she ever fall in love???? 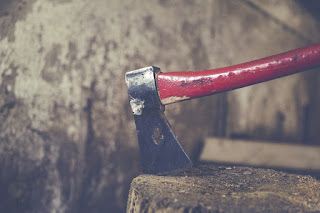 Some of those questions are answered in the Lizzie Borden, Zombie Hunter sequel - Lizzie Borden, Zombie Hunter: The Axe Will Fall. SALE!!! Get both quick while they're on SALE!!! Lizzie Borden Zombie Hunter is on sale 99 cents. Lizzie Borden, Zombie Hunter: The Axe Will Fall. is on sale 99 cents and $1.99 June 11 to June 18. ** Get the set before the price axe falls!!! ** Want more deals? Visit the Art of the Arcane Page to June 14!